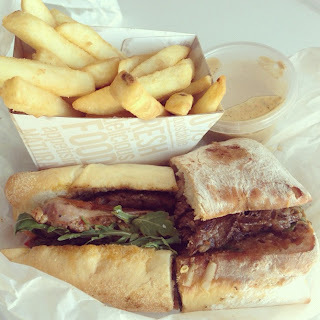 Food trucks have been popping up all over Adelaide and ChimichurriGrill is well known now for their Argentinian steak and chorizo sandwich. ChimichurriGrill has kept their menu quite simple (which is a good thing)....essentially three menu items (steak, chorizo and vegetarian). Being an Argentinian van, my friend and I immediately went for the steak and chorizo options. We paid about $13.00 for a meal which consisted of the sandwich, chips and a dipping sauce. 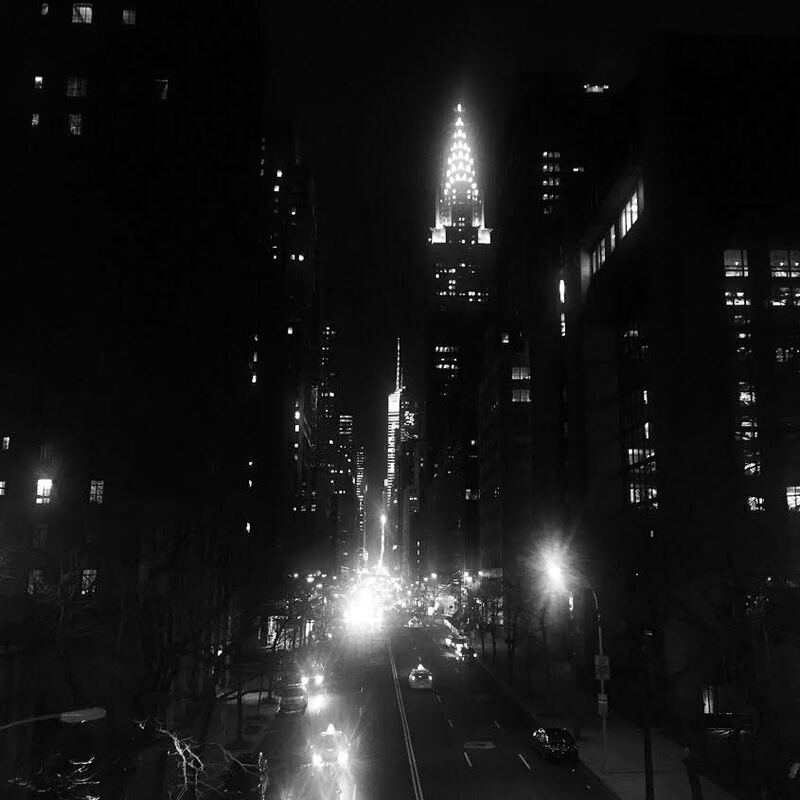 Now the reality. I thought that I would get my friend to assist me in the blog this week as we tried both the steak and chorizo sandwiches. We were not disappointed with the amount of steak that was given to us. Our sandwich runneth over with juicy tender scotch fillet steak (a surprise for something that came out of a van and only cost $13). For some, the serving may be too big for a lunch serving, for others it may be just right. We thought that this could definitely be shared between two people if needed. But I will let you guys make this decision yourselves! 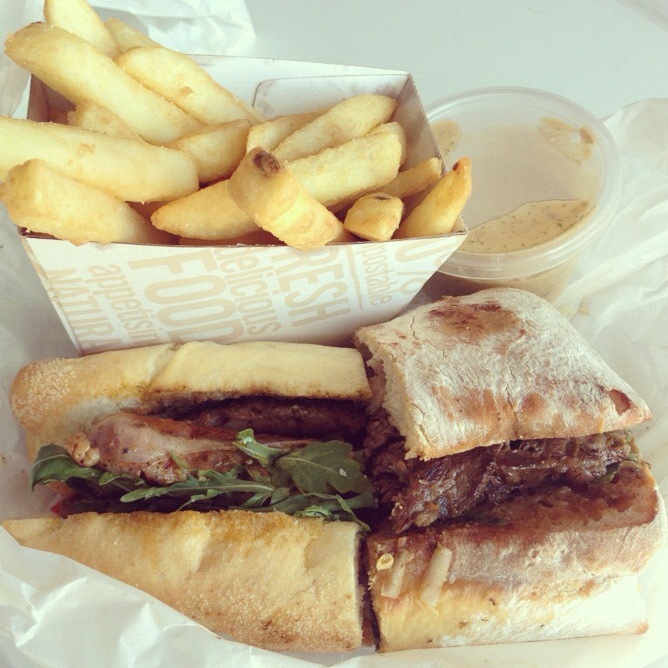 The Chimi Steak sandwich is presented on a fresh ciabatta roll. I think that this is the perfect type of bread as it is crunchy on the outside and soft to the bite whilst not becoming soggy (for me, soggy bread is a no-no). The flavour combination of the sandwich was nice. You are able to taste each of the distinct ingredients - the taste of the provolone cheese, the slightly peppery rocket and the special chimichurri sauce go great with the tender steak. Mirko and friend give the steak roll 14 out of 20 chops on the chopping board. This was the second of the sandwiches that we purchased. Overall, this was nice, however we both preferred the steak roll more. The chorizo roll is served on a different roll (more representative of a hot dog bun but crunchier). Personally, we would have preferred the chorizo to be a little more charred (think spanish chorizo that you would order as part of a tapas platter). I also would have preferred that the chorizo be sliced up into smaller pieces and then put in the sandwich, rather than the chorizo being sliced in half and then just put into the sandwich. Whilst the sandwich was nice, I personally think that the roasted capsicum was a little overpowering. Having said this, if you are a fan of roasted capsicum the flavour may be right for you. My friend also thought that a sweeter sauce may have gone better with the chorizo roll (as opposed to the chimichurri and kewpie mayonnaise) which was included. The chips were pretty good, beer battered and super crunchy. Mirko and friend gives the chorizo roll 13 out of 20 chops on the chopping board.